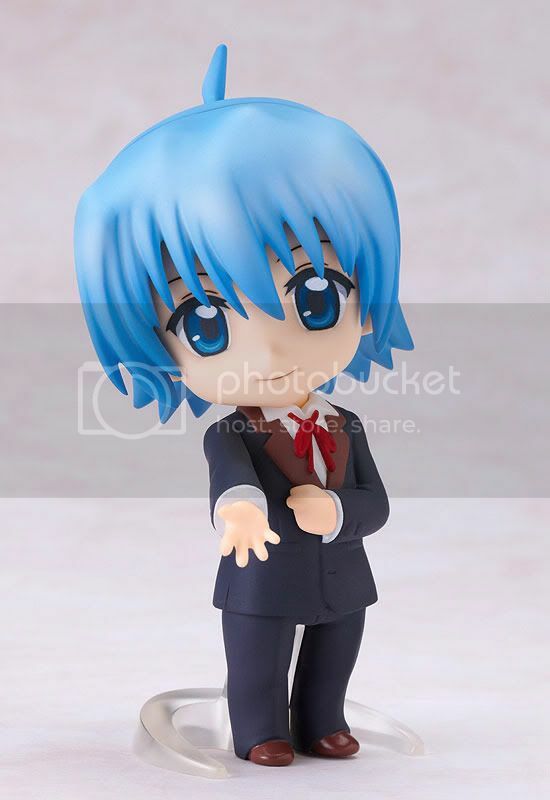 Max Factory is going to release the Nendoroid Hayate Ayasaki action figure from the manga/anime Hayate no Gotoku!. 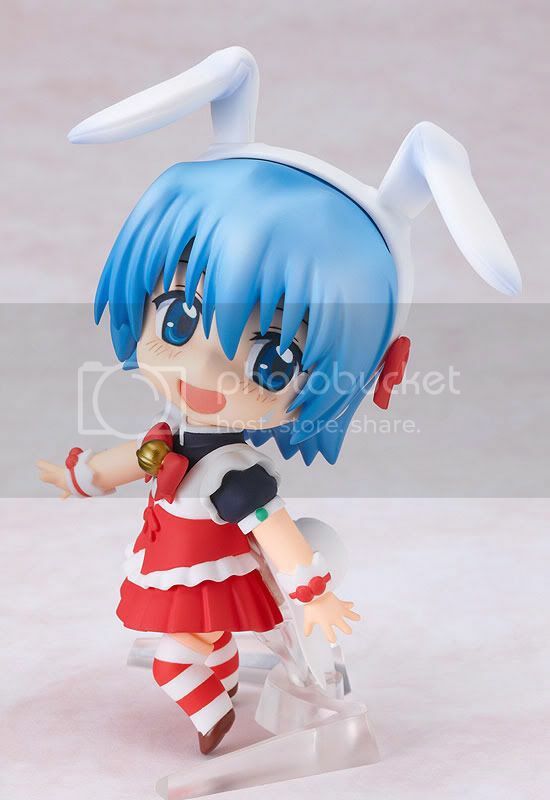 This figure is approximately 100mm in height and will be released in December 2010 around 3,619 yen. I haven't watched the series before, so I really can't tell much about her. 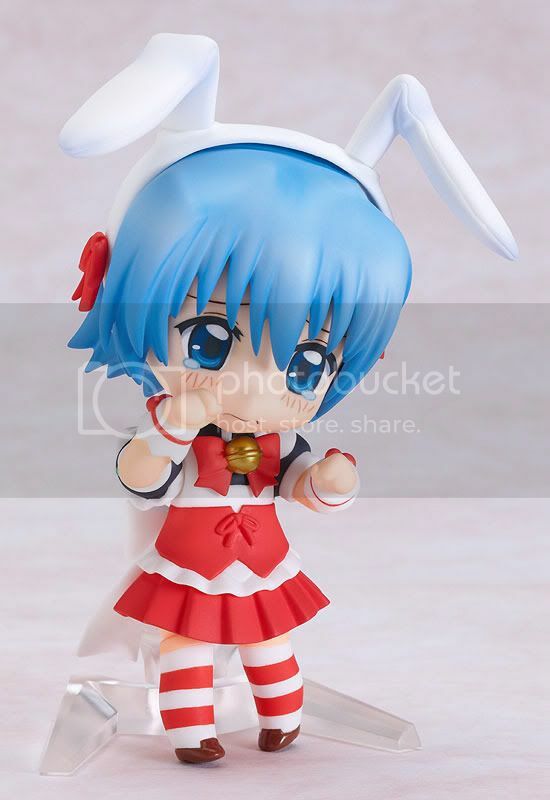 This figure will come with three different expressions; a standard expression, a crying expression and an embarrassed face. 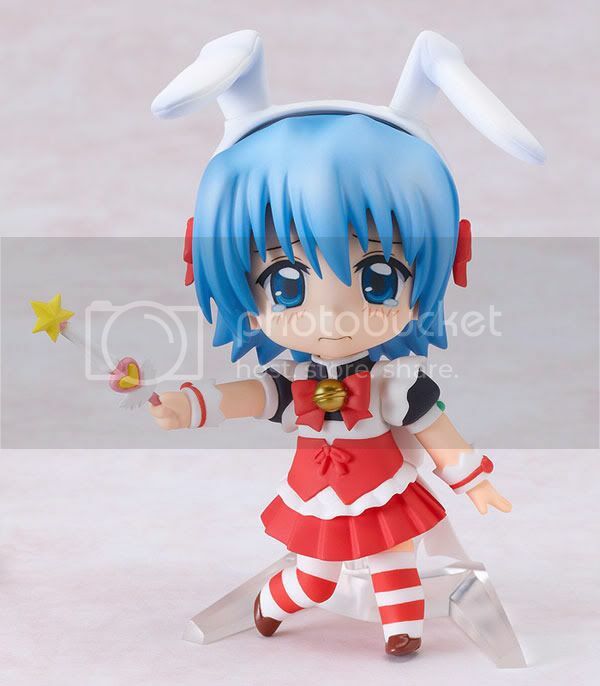 She is also equipped with a bunny-ear Alice band and a magical rod! 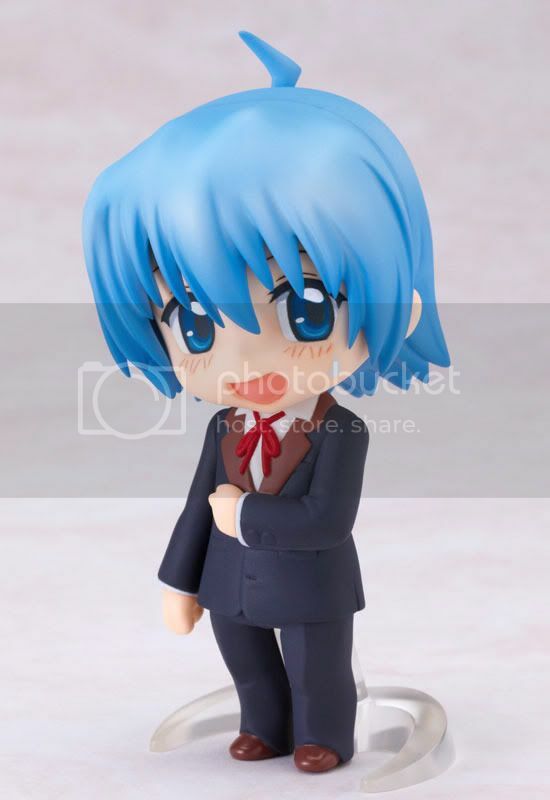 An extra body featuring her butler clothes is also included. Wait, did I just say a butler clothes? Isn't a butler supposed to be male? After did a little research on the net, I was shocked enough to know that she actually is a GUY!! o_O!